A number of traditional watchmakers, fashion brands and generally non-techie firms have delved into the still-emerging smartwatch arena in recent times, to varying levels of success. Today, Michael Kors joins the party with its very own line dubbed 'Access', a collection of fashion-centric wrist computers running on Google's Android Wear. The Michael Kors Access arrives with a clearly defined idea of the target audiences. There are 'glamorous versions for women' along with 'sporty versions for men', though it's seemingly unclear whether sporty women or indeed, glamorous men, should avoid the Michael Kors Access altogether. Jokes aside, there's a decent assortment of color options and variations on offer, so plenty of different flavors to suit particular tastes. Each member of the Access range is powered by Qualcomm's Snapdragon Wear 2100 chip as outlined in the press release, which doesn't go into much further detail about the specs. This lack of technical info isn't much of a surprise, though, given that the Access seems aimed at those seeking style with a spoonful of digital. Users looking to personalize their Access will be able to do so courtesy of the silicone, leather and metal band variations. As you'd expect of Michael Kors, though, all of that Android-befuddled style and elegance doesn't come cheap; prices range from $350 to $395. 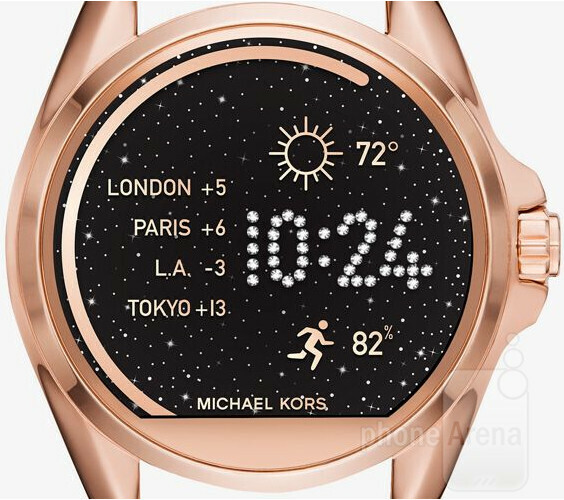 Still, if the idea of a Michael Kors watch running Android appeals to you, you can find out more at the source. Also, the official Michael Kors YouTube channel has shared a promo video, sporty women and all.. They managed to make ugly round smartwatches. How did they do that? It has a flat tire? Why do they all build off of motorola's base. It's an ugly design and will never sell as a fashion piece. face palm! Which is a shame, because Michael Kors makes some great products if you know where to look on there range. I wouldn't say it's ugly, it just doesn't really have any wow to it. When most of the current offerings have a fully round watchface, I wonder why anybody would go back to 2013 with this. To all the ladies out there : "You better buy that instead of Apple watch!"